SECUGLASS, a “One-Stop” glass specialist operator, offers a full range of glass products and services via its associate, Aneka Glass. 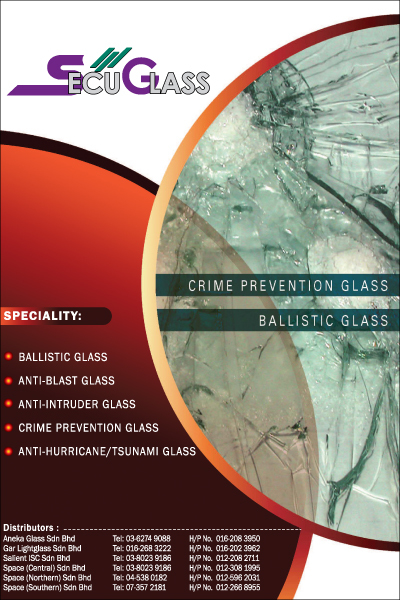 These include security glass systems, covering bullet-resistant and blast-resistant glass, designed for protection against low to high security threats. In-house ballistic technology and extensive R & D experiences enabled its armouring systems to meet international Standards and Certification requirements. Technical support includes advisory services in analyzing threats, setting specifications and recommending solutions.